Wow! Active Air solved our challenge and more. Hi, my wife and I are full time RV'rs traveling in a mid-level diesel pusher. 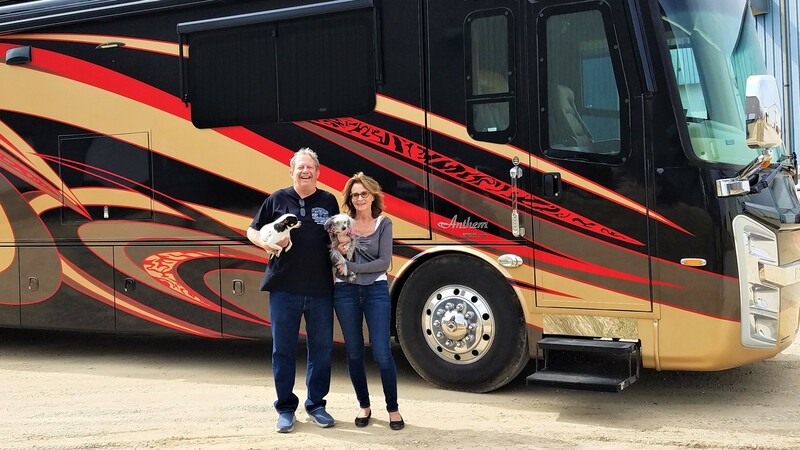 In 2008 we were involved in a severe auto accident and as a result needed to modify our coach to allow my wife easier access into and out of the coach. We contacted HWH to see if it was possible to make a change to our Winnebago Journey to allow it to kneel when she enters or leaves the coach. The engineer at HWH suggested we might want to modify the coach with HWH's Active Air, which would not only allow the coach to kneel but also give us a more comfortable ride as well as automatic leveling. We evaluated our options and made the decision to add Active Air. What a difference it made! 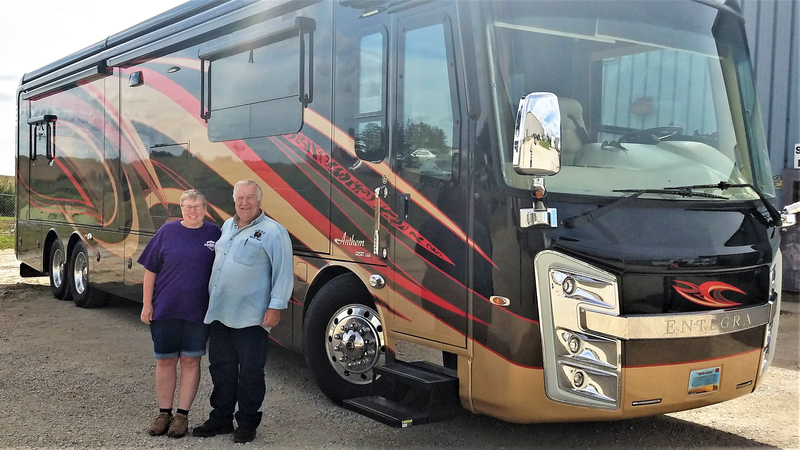 We now have auto leveling, both hydraulic and air bag, the option to kneel the coach when we stop, better ride control with no dipping or plowing in corners and full control in strong cross winds. The Active Air also eliminated almost all of the rocking as we travel on the highways and byways of America. An added feature not mentioned in the brochure is the ability to tilt the coach for dumping holding tanks or to take on a full load of fuel. Everything we ever wanted to do using our air bags is as simple as pushing a button. The systems auxiliary air pump even allows us to fill the tires on the car or bicycle without starting the motor home engine. As a result of adding Active Air we now have many of the amenities reserved for high-end coaches. First, we want to thank you and all your employees for the courtesy you gave my wife and I including the free lunch and great pies. It is a great pleasure to see there are still companies that put their customers first. This was our third visit to your company and we were treated with a smile and respect. We will be coming back, if not just for the lunch and friendship. We want to congratulate your company in making a great product, we are referring to your Active Air System. 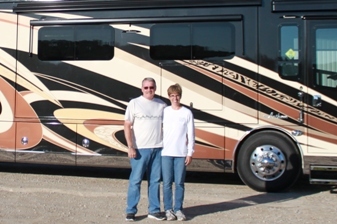 We had the system installed on our 2007 Itasca Horizon in August of 2007. When we left we drove to Winnebago Inc. in some high winds and the RV handled like there was just a breeze. It also cornered without leaning over. The roads from HWH to Winnebago were winding and before the Active Air was installed we had to take the turns at less than the posted safe speed. After, we could take them at the posted speed with ease. Where the highway was rough we raised the unit and the bumps were less jarring. The rest of our trip across the US was just as enjoyable. When we parked for the night we just activated the Air Leveling System. We were level almost instantly and in the morning we were our way in no time. The improvemnet in the ride and handling made it well worth the price. We would like to see the system as an option on all middle priced units. 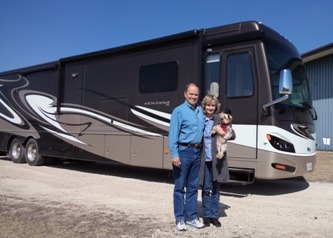 Again, thank you and your staff for the great time, our birds thank you as they enjoy the new, smoother ride. It's now been several years since Active Air was installed on our coach. Just a follow-up to say that we are just as happy today with the Active Air system as when we first drove it after installation. 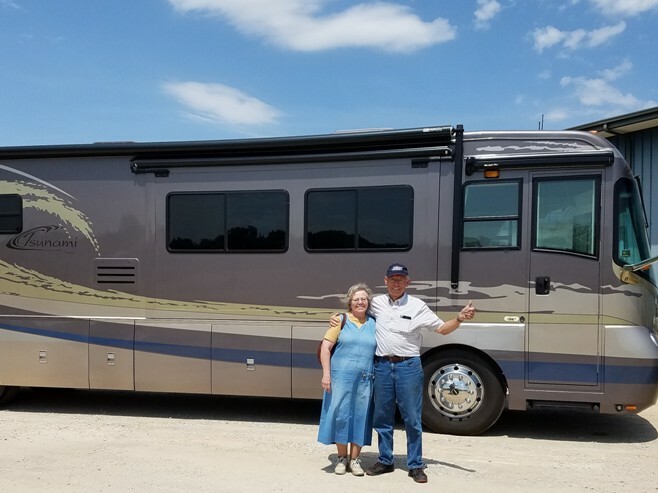 In light of today's economic down-turn, our decision to upgrade our coach so it drives like "New" has been reaffirmed every time we get on the road. Thanks again HWH for creating, manufacturing and installing such superb products! HWH Corporation does not manufacture a suspension system to replace leaf spring suspensions. Our Active Air system can only be installed on full air ride suspensions to improve the handling and performance of the coach when driving. It also provides air leveling for the coach when parked. Do you have a system to replace or improve the parabolic springs on the 2001 Freightliner XC chassis? Yes, the Active Air can be installed on your coach. 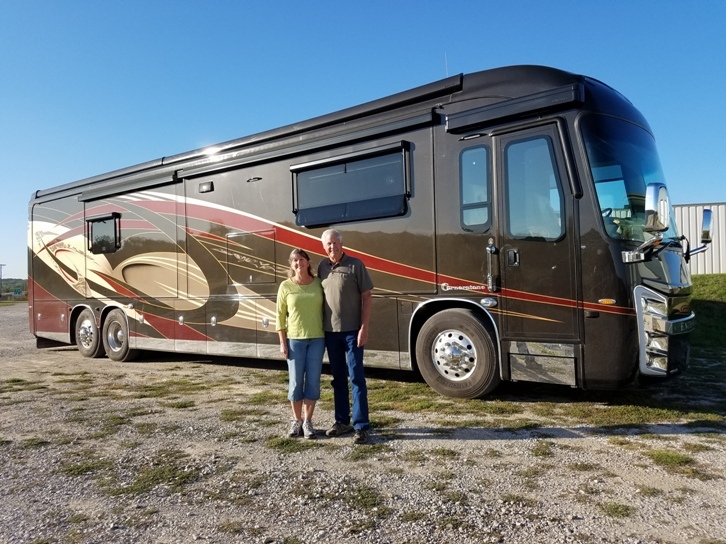 The primary function of the Active Air is to control the roll of the coach and provide driving comfort that will relieve a lot of the fatigue that is typically felt after a long day of driving. 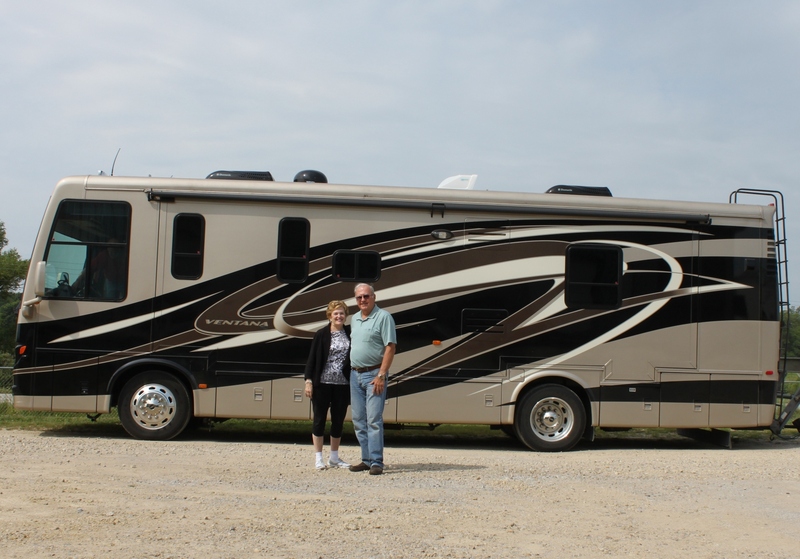 The system also comes with the HWH Air Leveling package for leveling and keeping the coach stable when parked. Our number one mission with the 2009 Wanderlodge Premier XL was to build the safest, most reliable luxury coach in the world. That is why we chose the HWH slide system. 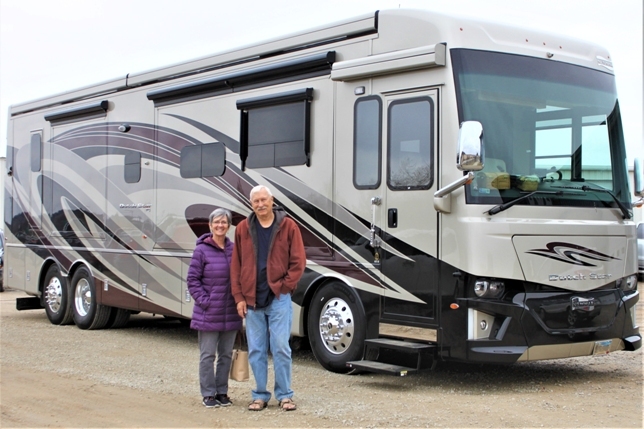 Their integrated slide and ride system, Active Air, provided us a proven, reliable system and has resulted in the best riding and handling Wanderlodge ever. The best keeps getting better. 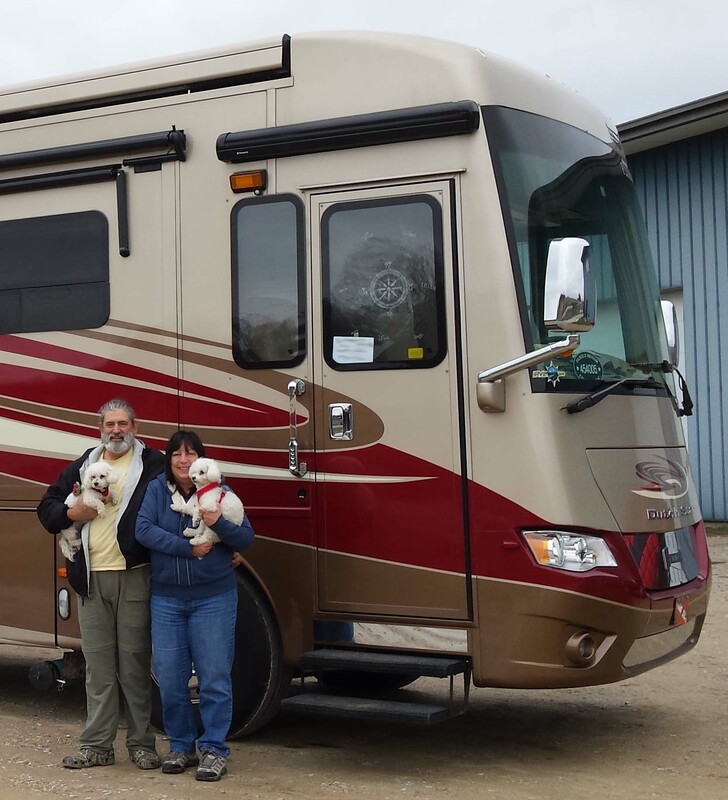 Foretravel is proud to work with HWH and their Active Air System to provide owners with the best ride possible. I installed this system on my personal motorcoach and couldn't be more pleased with it's real-time performance. Foretravel and HWH have been strategic partners for over 33 years, and it's because of their innovation that our relationship continues to grow stronger. When you look for a Foretravel, look for Active Air. The Active Air System can only be installed on Coach chassis that already have a full air ride suspension. Unfortunately, we cannot install on the Velvet ride Magnum chassis. We have a 1998 Safari Panther 425 with bfgoodrich velvet drive. Can we install your system on this coach? 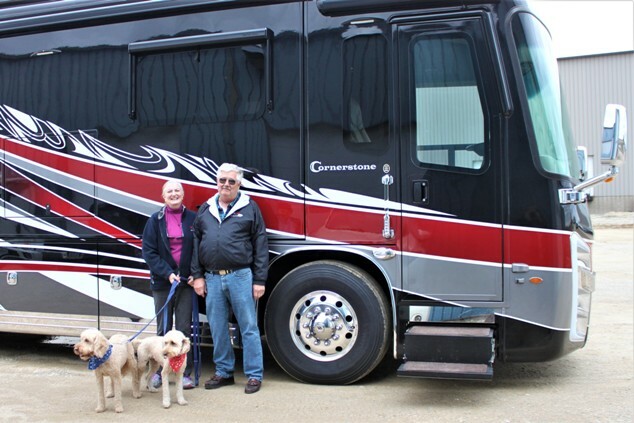 Active Air can be installed on the coach at our Moscow, IA facility. Active Air is primarily for roll control, however matching shock absorbers with Active Air should result in a better ride. I have a 2003 Monaco Knight with 4 airbags. The ride is rough and harsh. If I had known that it only had 4 airbags I would never have bought it. Is there anything that can be done to help? Thank you for your inquiry. Yes, Active Air can be installed on your 1997 Spartan air ride chassis. The system takes approximately 5 days to install and you can stay in the coach while the work is being performed. We would need another day or so to remove your 3 point leveling system and install an HWH 4 point computer-controlled system which would actually operate through the same control panel module as the Active Air. Please contact Jeff Wallick for details at (800) 321-3494. I have a 1997 American Dream on a spartan platorm with a 325hp cummins engine. a) Active Air can be installed on this coach? and I like 4 jacks much better than this hokey 3 jack system american puts on)? operation or 2 week or? e) What is the rough cost of getting something like this done? 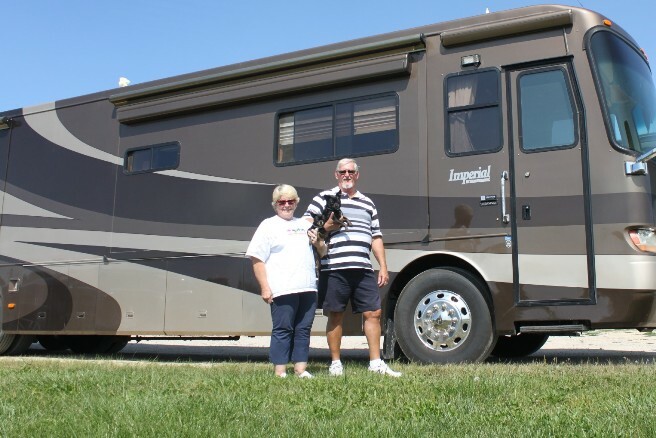 I have a 2005 winnebago journey pusher and would like to know if adding active air suspension to my present air system is possible or necessary to improve highway handling. If so what the aproximate cost would be and who or where the work would need to be done. My dealer is bill plemmons rv world in nc thanks. 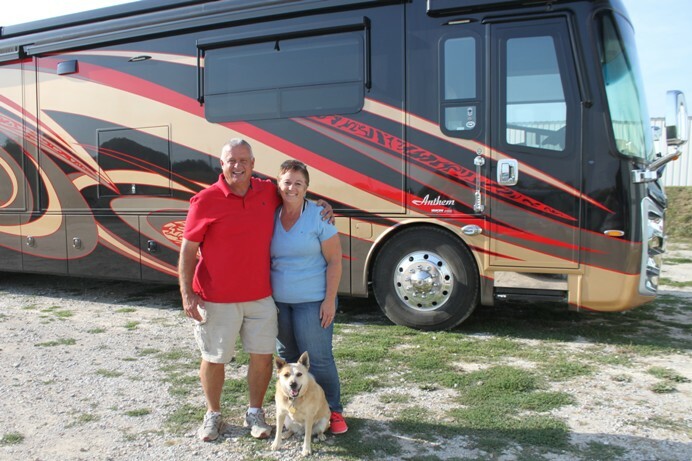 We are brand-new RVers who own a 30 ft. 2005 Four Winds Hurricane. So far we have been on one longer trip and found the steering very tiring -- especially when trucks would pass us. Is it possible to install the Active Air System -- even if we add our Hyuandai Elantra (Manual Transm.) behind? Also, where could it be installed and what would be the approx. cost? We do not currently supply our Active Air system to Newmar Corporation. The HWH Active Air system can be installed at our factory service center in Moscow, IA. A test drive can also be arranged. You can contact Jeff Wallick at (800) 321-3494 for more details. Is Active Air the same system that you supply for NEWMAR Corp. that they call. COMFORT DRIVE. If not what is the difference? Can the system be installed on a 2005 Coach. If yes where would we find a dealer on the East Coast to see or test drive the system. One additional comment on our Active Air system. We drove from Arizona to the Pacific Northwest to attend a rally. This time, the drive was on Interstates mostly with the usual congestion and traffic associated with busy roads. Prior to Active Air, passing trucks were buffeting our motor home quite noticeably. This trip, when were were doing the passing or when we were passed, the stability of our coach remained constant! The historic movements caused by the the other vehicles just simply were not there. Once again, what a difference! All we can say is that this system (and HWH), not only met our expectations, they exceeded them. As far as we're concerned, if anyone is considering any product that HWH manufactures, they would be very satisfied customers. Our hats off to your and all of your associates. I would like to know if you install the Active Air on any new coaches? Also what year you started the installation. 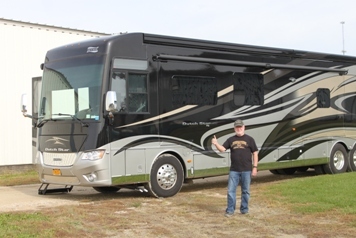 I am looking at purchasing a used coach and would like to know what coach manufactures have the Active Air suspension system. Thank you for your inquiry concerning our Active Air System. The Active Air was designed for chassis with an existing full air ride suspension. Active Air is not applicable to steel spring coaches. We do offer HWH hydraulic leveling systems that will level your coach when parked. Several control options are available from the 225 series Joystick-controlled to the 625 series Single Step. Either of these system can be installed by a dealer in your area. Can Active Air be a sole source for leveling when stoped, without other levelers on. I have no levelers on my 1994 Rexhall Aerbus, and it is already set up with air bag shocks (Ride Rite) in back only; but this is not capable of leveling me when parked. Please help me to understand if I can use the Active Air system to fully level my rig when parked as a stand alone system. What height will they raise? what weight can they handle? our they as good as other ways of leveling; whats the differance? whats the differance in price, etc.? 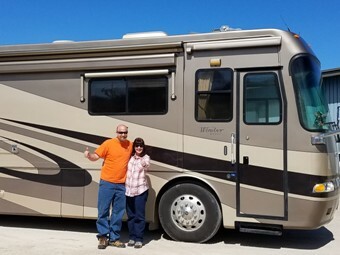 I am a disabled woman traveling full time in my 30 ft.class A motorhome and need to understand what is best for me, please do respond, I am desperate. We have installed Active Air on a Safari Zanzibar with good results. Additional air bags were not required. Before talking about the Active Air Suspension, I would like to respond to your concerns about your hydraulic leveling system. There are several possibilities that may cause your coach to level higher than you feel it should. First, if the level sensing unit is not adjusted properly, this may cause the system to level the coach too high on an end or side. Adjusting the sensing unit may help the coach to level in a lower position. Second, a jack pressure switch may cause the coach to rise too much during the stabilize mode of the auto level process. Adjusting the jack pressure switches or replacing a faulty pressure switch may be the answer to your situation. Both possible situations, the jack pressure switch or the level sensing unit, can be checked at a dealership or repair facility that works on HWH equipment. Service centers are listed on the HWH web site under the Customer/Technical Service section. Contact HWH customer service at 563-724-3396 or 800-321-3494 for assistance or you can email our customer service at service@hwh.com. There should be no problem with the HWH system if a tire is off the ground after the coach is leveled. Your coach is equipped with straight acting jacks that will support the coach even if the rear wheels are off the ground. 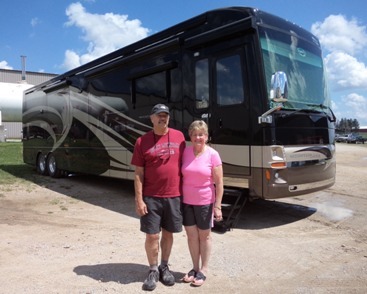 You should contact Newmar or Spartan to see if there is a suspension concern if a tire is off the ground after the coach is leveled. For some feedback from customers that have had the Active Air Suspension installed, click on the Active Air Party Line on the HWH web site, HWH.com. These comments include everything from improved handling in windy conditions and cornering capabilities to their experiences at our facilities in Moscow, Iowa. 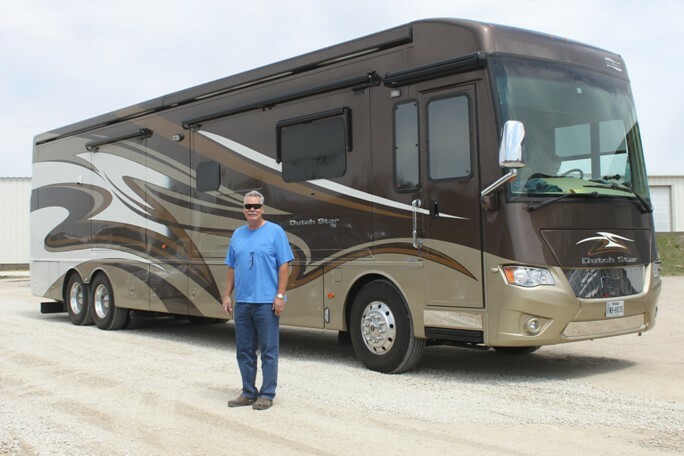 The addition of active air to your coach would give you leveling capabilities with the air suspension when parked. You will also retain the use of your hydraulic leveling system. The controls for the hydraulic leveling system will be integrated with the Active Air LCD control panel. Spartan or Cummins would not warrant any components changed or added by HWH to complete the Active Air system but all of these components would be fully warranted by HWH. We would not presume to speak for Spartan or Cummins so you should contact these companies directly to address any warranty concerns you have. Jeff Wallick, Inside Sales/OEM Support at HWH, will contact you to discuss your coach needs and to give you an exact quote for the installation. Jeff will also give you an installation date that will meet your schedule and an approximate installation time. You can contact Jeff through sales@hwh.com attention Jeff Wallick or call him direct at 800-321-3494 or 563-724-3396. I own, me and the Bank, a 2006 Dutchstar 43' on a Spartan Mountain Master chassis tandem axle with a 400HP Cummins ISL. I have the HWH leveling system (Automatic). Would the addition of Active Air affect my Spartan chassis or Cummins warranty? Can the system be used to level the coach when parking for overnight? I am not real happy with my HWH leveling system...after the air is dumped from the air bags and the coach is auto leveled, on practically level spaces, the jack extensions are so great that I need to add an additional step for entry and oft times the front tires are off the ground. My fear is that the rear tires will lift off the ground thus loosing my emergency brake. I have primarily used the manual leveling capability to minimize the extension. Also the ride benefits sound excellent. Your comments would be appreciated! What would the be the cost for the installed system? What lead time required for an appointment? I'm looking to hear some comments from customers that have installed the Active Air system. I have a 34' Journey with a Freightliner chassis/Cat C-7. It is quite a handfull in curves at speed and especially in cross winds. I like the coach but don't like it's handling. Any comments? Work was completed on our 40 ft 1995 Country Coach Affinity and we finally made it home to Phoenix yesterday after a 1700 mile drive. We indicated earlier, HWH first impressions were just outstanding and HWH didn't disappoint us on bit. Like we said earlier, everyone we've came in contact with during this installation was magnificent! 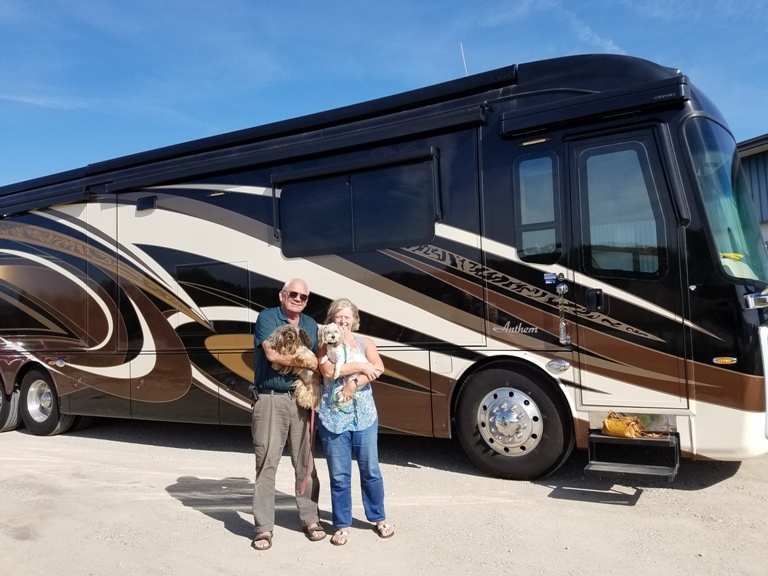 Along with your expertise, Lynn, Mitch, Marc, John, Tim and Stacy and the others, were all exactly what we expected and then some! The ride back to Phoenix was on 2 lane highways most of the way, encountering many, many oncoming trucks (and passing ones as well) along with very strong winds, mostly from the side. Prior to Active Air installation, the ride would have been very tiring, requiring constant 2 handed steering with continuous correction. With Active Air, as reported earlier, driving was simply a pleasure, even better than we expected, even better than the new coaches we've test driven! In fact out normal driving speeds increased slightly because of this superior stabilization. While the Active Air (we like to explain it to anyone questioning that it's like air ride on super steroids) made a big difference, the addition of hydraulic jacks also made parking a whole different experience. There is no way we'd ever part with the HWH air leveling system but this hydraulic addition stabilized the "rocking" motion we often felt when parked with air leveling alone. Buying livability and comfort are some of the reasons we own our motor homes. This Active Air should definitely be considered by anyone wanting to truly to make a noticeable upgrade to their coach! 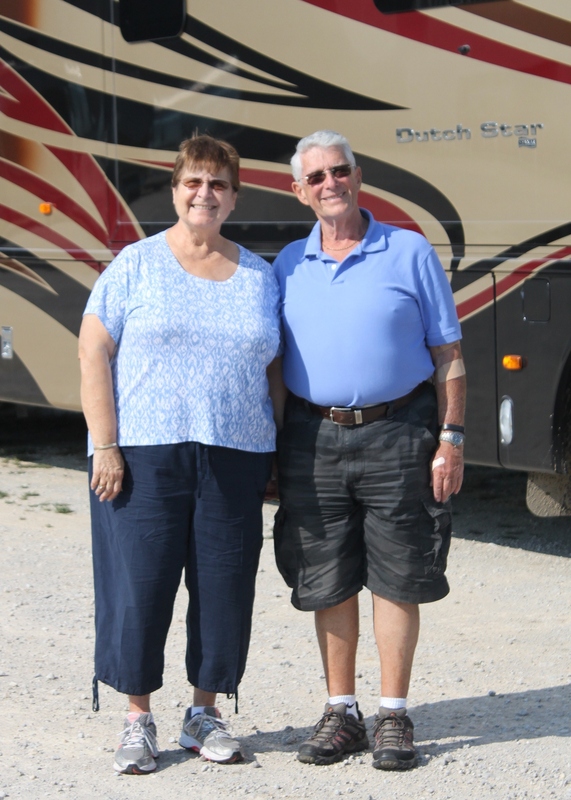 Thanks to you and HWH, we"re looking forward to many more years of use out of our "New" 1995 Country Coach! We've looked at trading our 2001 triple slide Newell, which we love, on a new one. Whoa! Big cost, so we're updating our coach at the factory and keeping it. Updates cost dramatically less than a new coach. Traveling in Oklahoma and out west, we often encounter crosswinds, it's a full time and tiring job keeping it between the white lines, so I'd like a more stable platform requiring less steering input and anticipating a curve would be good too. Don't have any porposing issues. All new air valves and control system would be nice too at this point although we've had no trouble with our HWH air ride. Oh yes, when parked, our suspension is pretty "tender", especially with the air dumped. I can feel the coach move when my wife brushes her teeth! My name is John and I own a 40 foot, 2004 Safari Zanzibar Class A Motor Home on a RR4 Roadmaster Chasis. It rides okay but not great when we are not towing. When I hook up our half ton Chevy pick-up to tow, the front end of the motor home porpoises so bad it feels like the front end of the motor home is coming right off the ground. Coming North bound on I295 aroung Richmond, Virginia, we hit a series of small bumps and almost lost control of the motor home. We tow with the tow bar perfectly level. I have been to several dealers and talked to Monaco direct and nobody has a solutuion to the problem. Rving is soupposed to be FUN, but this gets really scary sometimes. Can anybody help me? Active Air's greatest effect is controlling the roll of the coach rather than the pitch. Porpoising normally is controlled by shock absorbers. The combination of the proper application of shock absorber and Active Air can greatly improve this situation. By controlling roll with Active Air the harshness of shock absorbers can be decreased. Heavy damping can be set on the rebound side of the shock absorbers to help control the porpoising. At present the only after market installations are done at HWH, Moscow, Iowa. We need to know more about your coach before quoting costs. I have a 2003 Beaver Monterey that porpoise's when I go over a dip in the road. The RV does not seem to sway very much other than when I'm on a two lane road and a large truck either comes up behind me or passes coming at me. The RV has air suspension which works fine other than during the times I've explained. Do you have anything that could correct this situation? If so, what would the cost be, with installation? Do you have a facility in Washington state, near Seattle? As we're sitting here in your waiting room in Moscow (using your complementary Wi-Fi) AND after dining with you on your complementary lunch (you are a very informative host) there are some observations that are worth sharing. Apprehensive best describes our initial 1500 mile out-of-the-way trip to get here but now that we've arrived we know we've made the best decision. 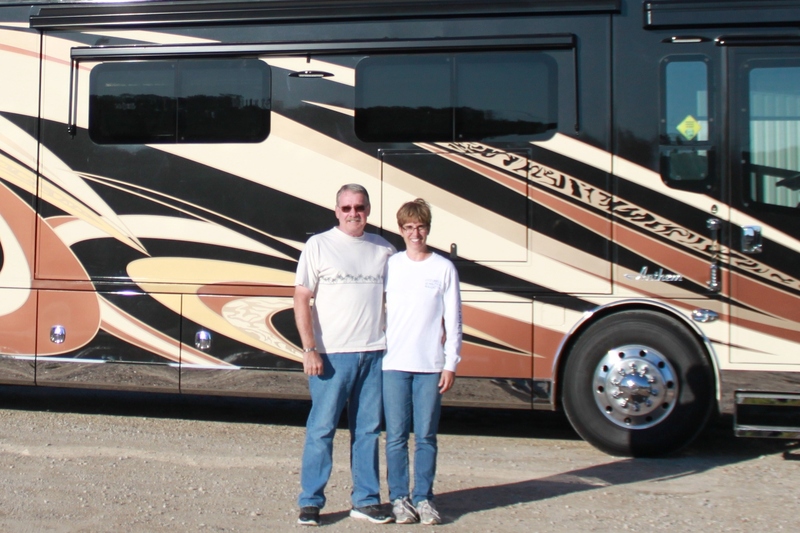 Owning a motor home often times targets you for some extraordinary experiences. These include but are not limited to overcharges, shoddy workmanship, ineptness, and just plain cheating. HWH first impressions are just outstanding. Everyone we've come in contact with the company is helpful and courteous but most importantly knowledgeable. The facility is as modern as anyone could imagine with all the equipment you'd expect (and then some). We could go on about these attributes but just we'll just say that already we know it was well worth the trip. The Active Air ad in FMCA magazine has saved us thousands of dollars! Let us explain why. While we are very happy with our 1995 Country Coach there were a few things that were showing their age. After "test" driving a few newer coaches, we knew the ride and handling were not quite up to par for our coach. Additionally, the coach exterior was showing its weathering (storing it in the Arizona sun sure didn't help). Pricing was discussed with the many variables and we were ready to "go for it" until we saw the HWH ad and decided there maybe another way to go. 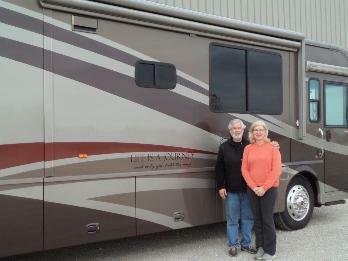 To make a long story short, with Active Air in mind, we repainted the coach with newer graphics and drove here. To sum it up, "Now that our coach looks like new, why not have it drive like new?" There Paul is the reason why you've saved us thousands! All the other comments about Active Air are good but it is important to really share the some of the other values that should be considered. 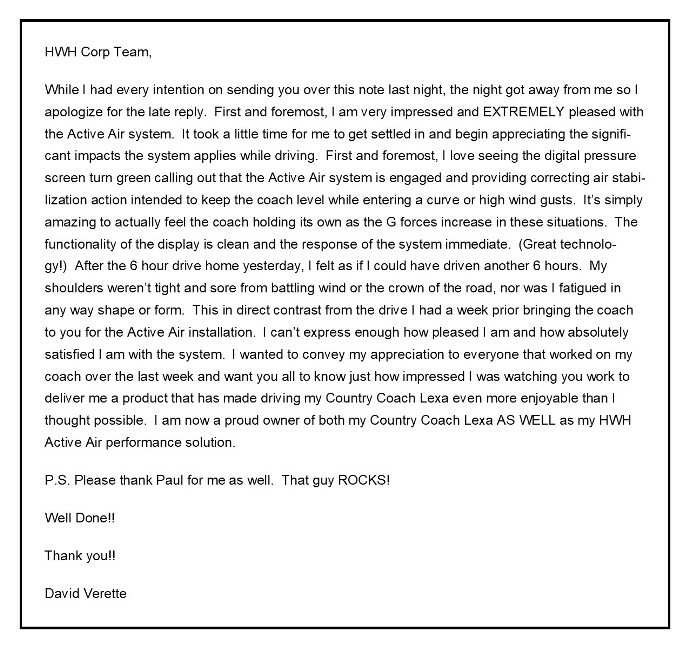 Thank you for your inquiry regarding having an HWH Active Air system installed on your Country Coach. Because no OEM's are currently installing the Active Air system on the assembly line, upgrades to an HWH Air Leveling system must be done here at our factory in Moscow, IA. There are currently no field installation facilities properly trained to do the installation. Since this is an aftermarket installation on a motor coach that uses an HWH system, there are discounts available, but for an actual quote, please contact Jeff Wallick at HWH for an information packet and pricing. We are having a Country Coach being built at the factory. Ship date is approx. May 10th. From what I can tell, it will be equipped with the HWH Air Leveling System. My question: Can the HWH Air Leveling System be field upgraded to the Active Air system? If so, what would be the cost. Following is my summation of the results of adding "Active Air" to our coach. IT'S MORE FUN TO DRIVE!! 1. It reduces body roll. 3. It eliminates "front end bottoming out" on most highway dips. 4. It counteracts the leaning of the coach when taking curves at highway speeds. 5. Steering is easier - there is less wheel movement. 6. It makes traveling safer and more comfortable. IT'S DEFINITELY MORE FUN TO DRIVE!! Sharin: When Steve said we were taking our Country Coach to HWH in Moscow, Iowa, for a new ride system I thought, oh boy, here we go again. Another fancy boy toy! As it turned out, I'm probably more boastful of the addition than Steve. We talked about buying a new coach but now you couldn't take our Magna away from us, ever, unless of course the manufacturers begin installing Active Air on new coaches. Steve: The first time I drove the coach I couldn't believe the difference. I was like a kid again. Entering a cloverleaf off-ramp as fast as I dared proved the system was all HWH had promised. All I could do is giggle! Since then we've driven several thousand miles and the newness has gone away, but not the pleasure of driving. The Rockies and Great Smokies are fun now, instead of thrilling. Sharp curves go by without much thought, like driving a nice automobile. Unless something decides to clatter out of a cabinet, mountain driving can be routine. You even dare enjoy the scenery. Sharin: I keep telling HWH that I'm not tired after riding all day. Since the coach doesn't rock side to side on uneven surfaces or on curves, I can relax. I don't think they expected that sort of reaction from the spouses. You know, it's a guy thing. Steve: How can I say this? I love our coach. Stock, it is still one of the finest motor coaches on the road. But I wish the Active Air had been available in 2000 when the coach was new. I've missed all the fun on the first 78,000 miles! The Active Air system really shows its stuff in the curves, but out on the open road the added capability of being able to lower the coach closer to the road is a real benefit too. It's amazing how much it helps in strong crosswinds. HWH engineers have even programmed options to lower or raise the coach on either side, in the front, or all together. It helps to lift the coach when we're traveling on a really bad section of highway with potholes, bad bridge deck approaches, or those broken pavement joints on a poor section of Interstate. The addition of an LCD monitor to control all HWH functions is a nice touch too. Slides, Jacks, Tag lift, Generator Slide and all Active Air functions combine to make a nice installation. Oh, I almost forgot, we also added jacks to our coach. I always chuckled at folks who had to fiddle with jacks, when all I had to do was punch a button. Guess what? I still only have to punch one button, but now the coach sits rock solid, regardless of how long we stay. Everything is automatic and the LCD monitors jack operation to ensure safe operation. And I can still use the air leveling. It's on the monitor too. Pretty neat!